A basic kitchen setup includes essential tools for everyday cooking (real cooking, not just heating) and hosting small dinner parties. It's what you need when you're past the roomie stage of life and want to attempt some favorite family recipes for yourself, not to mention creating your own favorites. Setting up your kitchen also involves deciding where to put everything. This, like your collection of kitchen equipment, will develop over time, but there are some helpful tips to get you started. Those pieces will cover you for the great majority of recipes and dishes. If you want to get more serious about sauces, you might like another saucepan or two, such as a 3-quart pan that's shallower than a standard 4-quart. For delicate sauces, or making candy, you might want a double-boiler. 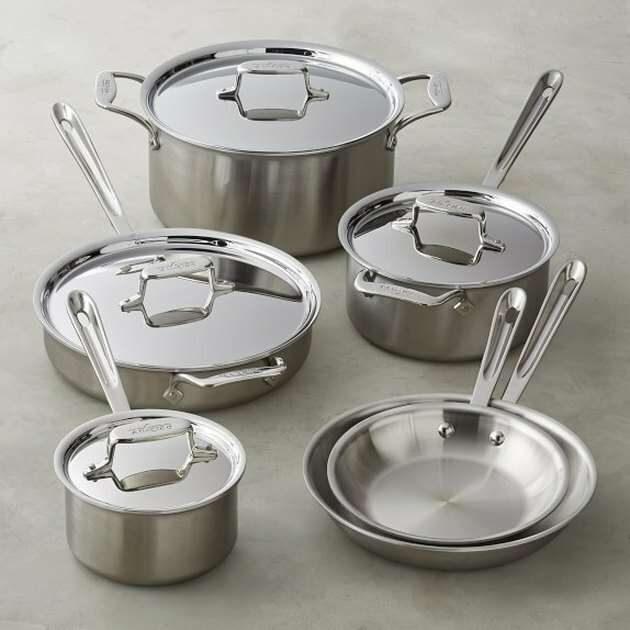 A set of stainless steel pans and pots is a great investment. 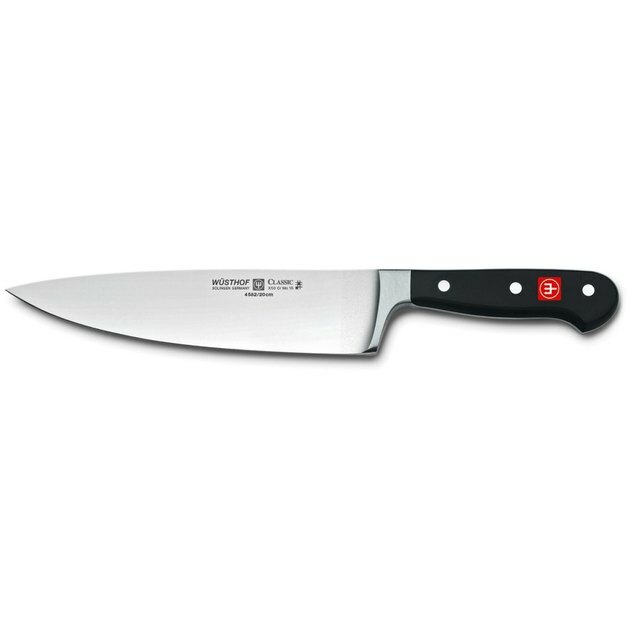 The only knives you really, really need are a chef's knife (8-inch is the most versatile), a paring knife and a serrated bread knife. Spending your entire knife budget on these three tools is a much better investment than using it for a mediocre 12-piece set with a block. If you want to branch out, consider a large chef's knife (for carving meat and cutting melons and squash), an extra paring knife or perhaps a small serrated knife, such as a tomato knife or sausage knife. You also need a sharpening steel. It's what you use to keep your blades in shape on a daily basis, between periodic sharpening. A few very good knives is better than a large collection of mediocre knives. A single set of dishes and eating utensils for one person is called a place setting. A basic place setting (for grown-ups) includes a dinner plate, salad plate, soup bowl, knife, dinner fork, salad fork, soup spoon and teaspoon. Some place settings also include a bread-and-butter plate and a tea/coffee cup and saucer, but these are more optional. The recommended minimum number of place settings for any household is eight, but 12 is much better, especially if you do any entertaining. If you eat or serve a lot of steak, pork chops, duck or other hearty meats, invest in a good set (four or eight) of steak knives. Hand-wash them and rotate them with each use so they stay equally sharp, and chances are you'll never have to buy another set. The serving pieces you need largely depend on how fancy or "official" you like to get with food plating and presentation. Some hosts insist on gravy boats and relish trays; others are just fine with ordinary bowls and dinner plates. But even if you're in the second camp, it's nice to have a few sizes of serving bowls, a large platter or two, and some nice small plates for hors-d'oeuvres and cheeses. 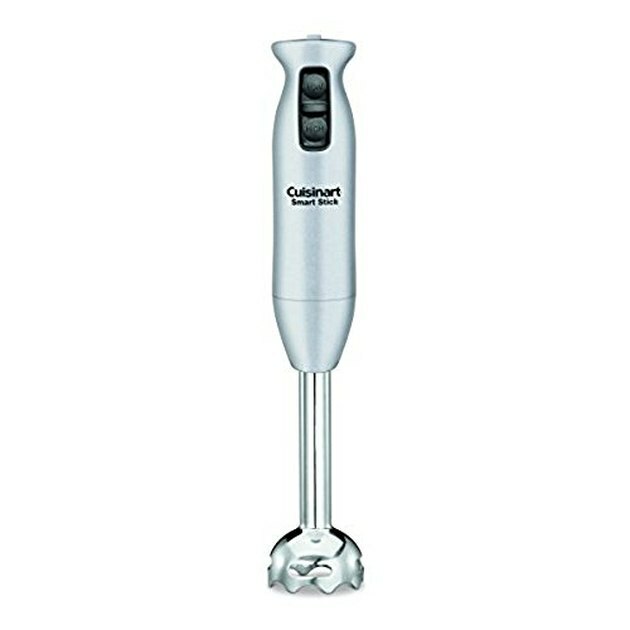 An immersion blender is versatile and takes up little space. That's it for the essentials that every kitchen should have. Other appliances may seem equally indispensable, depending on the type of cooking or eating you do. A food processor is very handy and fast—for slicing, chopping, blending, pulverizing and kneading. But a processor doesn't do anything you can't do by hand (except blending). For bakers and those who love desserts, a stand mixer is a prized power tool (it's sort of the cook's version of a table saw). And yes, for those who actually drink kale juice, a juicer is a must-have (nothing personal). A kitchen is like a miniature factory. In any factory setting, efficiency is largely based on movement. Less movement makes your work faster, more efficient and (in the kitchen) more enjoyable. For example, emptying the dishwasher takes half the time if your everyday dishes are kept in the cabinets closest to the dishwasher. Essential cookware, cooking utensils and spices should flank your stove. Most importantly, store items closest to where you use them, giving top priority to the things you use the most. The plain olive oil you cook with every day belongs next to your stove or prep area. The citrus habañero olive oil you got as a house-warming gift should be relegated to a less convenient location. Pay attention to where you go and what you reach for most often in your daily kitchen routine, and the efficient organization will naturally follow. Build your kitchen around the way you work.